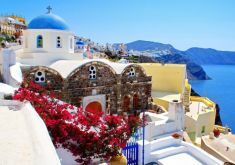 Explore our selection of predefined Greek island hopping itineraries, tours, cruises, and travel packages. Our holiday itineraries are fully flexible, and can be changed to fit your requirements. The Greek Archipelago takes up 7,500 km of the country’s total 16,000 km coastline, offering a highly diversified landscape. A flexible Greek Island Hopping itinerary. 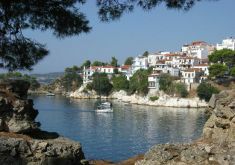 chose your preferred Greek islands and tour duration and we will do the rest. 6 day Greek island hopping itinerary. 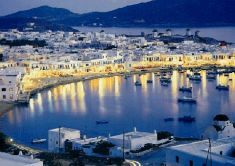 2 islands: Cosmopolitan Mykonos and romantic Santorini. 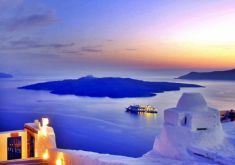 8 day Greece vacation package. Athens, and the beautiful islands of Mykonos and Santorini. 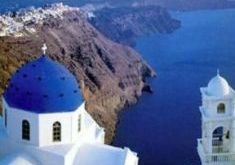 Greek island hopping itinerary, with daily departures from April to October. 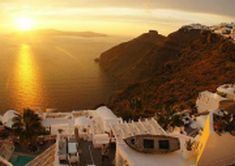 9 day Greece island tour package. 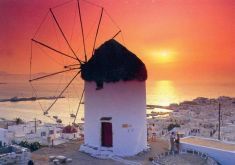 Athens, and the beautiful islands of Mykonos and Santorini. A Greek island hopping itinerary, with daily departures from April to October.